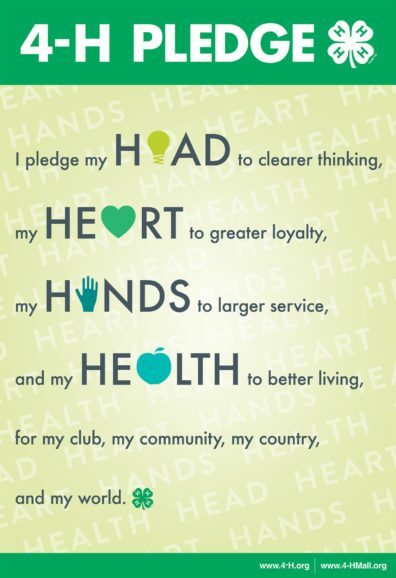 Mission: 4-H empowers youth to reach their full potential, working and learning in partnership with caring adults. 4-H is open to every youth, ages 5-19, without discrimination! Shooting sports and large animal projects require youth to be at least 8 years of age to participate. *4-H “age” is determined by the age of the youth by October 1st of the current 4-H year. 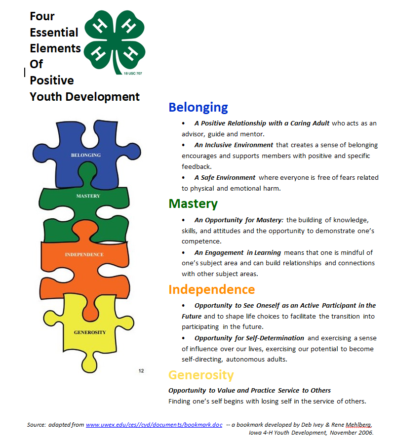 The Essential Elements of 4-H Youth Development are basic principles upon which the 4-H Youth Development Program operates. 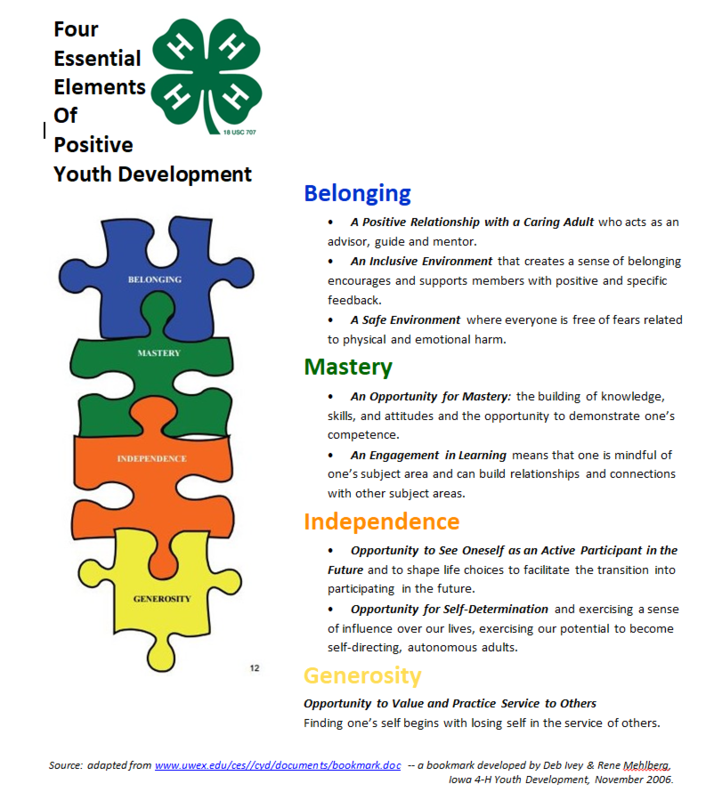 Incorporating these elements enables the 4-H Program to focus on positive outcomes desired for youth; provide programs for all young people; view youth as central actors in their own development; and consider the development of the whole young person. 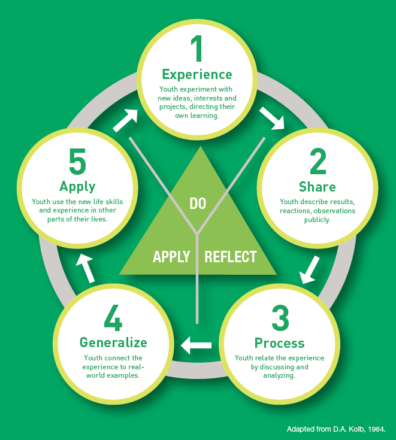 4-H uses an experiential learning model, which means we “learn by doing” through hands-on experiences. 4-H volunteer leaders and staff make sure that youth have a safe place to dive right into what they want to learn! Once we dive in, we always take time to share so that we can take our experiences to deeper levels of understanding. The 4-H Office is located in the historic Clallam County Courthouse, 223 E 4th Street Port Angeles within the WSU Extension Office.